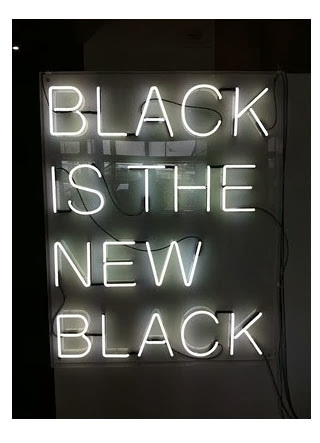 SO many times when I am styling girls & I show them an item that is black they say "i already have so much black...I want to branch out & try other colors"....& I ask them what do they normally go to when picking out an outfit for the day....& what do you think they say? Its always that way. I know you want to branch out & wear other colors but we all know they're going to sit in your closet untouched. So instead of trying to branch out & waste your money why not just embrace the black & wear it. & let me tell you...I couldn't agree more. It takes up most of my closet....& instead of wasting money on buying colors I barely wear I am going to keep buying black & embrace black on black on black. Are you a fan of black on black? I completely agree, I LOVE black on black! Black is the best, can't go wrong. I love wearing colors but black is almost always my base. my closet is filled with dark colors, so i am definitely a fan of black on black. love your sweater, btw! I am totally a fan! Totally agree! The other day I had an all black ensemble on...and my husband was like "you're wearing that? Just black?" He doesn't get it, but I do. Hey thanks for the hairspiration too...I think I'm going to be trying ombre at my next appointment, this platinum is too high maintenance! I used to wear my black tee with black jacket this winter. 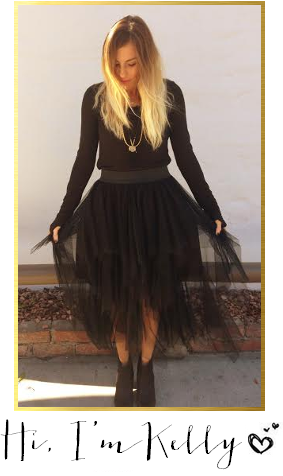 I feel like I need a pop of color personally but black on black looks great on you! SUCH a fan of black on black. And navy & black. And hunter green and black. And basically any color that makes me look skinny. I am definitely a fan of the black on black. Especially because it means I can dress it up with fun jewelry or my favorite... colorful scarves! Thank you a lot for giving everyone remarkably breathtaking opportunity to read from this web site. Woah! I'm really enjoying the template/theme of this website. It's simple, yet effective. A lot of times it's hard to get that "perfect balance" between usability and visual appeal. I must say you have done a awesome job with this. In addition, the blog loads super quick for me on Safari. Excellent Blog!